Bruce L Johnson is the man who brought the `Chinese Wand Exercises’ to the West at the end of the Second World War. While serving with the US Navy in Shanghai in 1945, he took a rickshaw ride that led to him to a ninety-three year old Chinese Wand master who taught him the secrets of the system. This was many decades before Kung Fu, Tai Chi Chuan or Qigong were known outside China. Johnson began teaching the art in the 1960’s and published his book Chinese Wand Exercises in 1977. As fitness instructor at Paramount Studios Johnson taught the Chinese Wand Exercises to many famous actors, including Clint Walker (the large muscular guy in The Dirty Dozen), James Coburn, Mae West, Ryan O’Neal, Lorne Greene, Liberace and others. The exercises improved Walker’s bad back while Coburn used the exercises as a calming technique. Though there are no surviving written account of the art, that is not unusual for health arts and martial arts in China. Traditionally they have been passed down by word of mouth. An art could have been passed on orally for many generations before written records emerged. 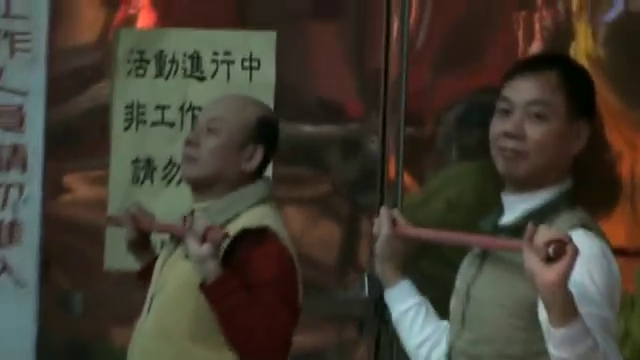 Many westerners are familiar with the term `Chinese Wand Exercises’ coined by Bruce Johnson. For my book `Jiangan – Chinese Health Wand’ I sought an indigenous Chinese name for the art in the same way that the terms Tai Chi and Qigong are used instead of literal English translations. We do not say `Chinese Supreme Ultimate Boxing’ or `Chinese Breath and Energy Work’. 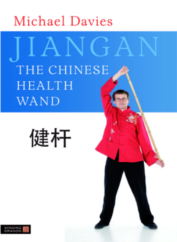 I used the term `Jiangan’ meaning literally `health and fitness wand’. The two Chinese characters make up the logo at the top of this web page. While I do not believe this is the phrase used traditionally, it is the most authentic. 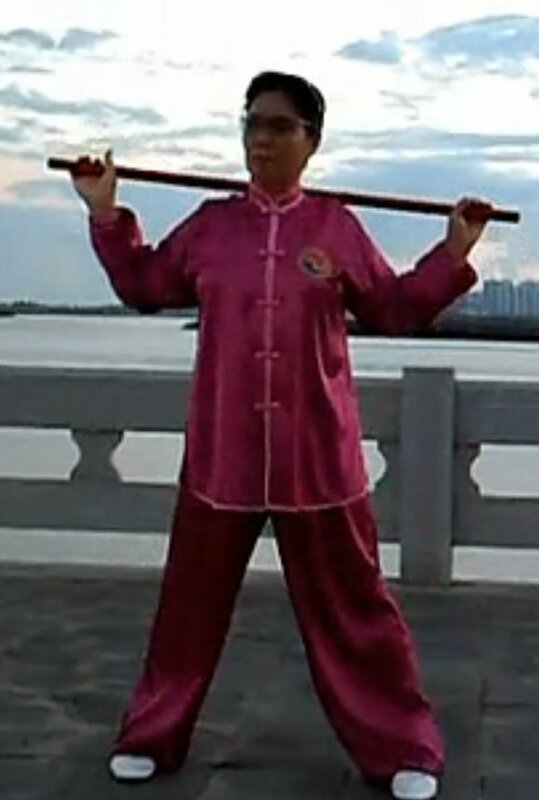 The terms `Chinese Wand’, `Chinese Wand Exercises’, `Jiangan’ and simply `wand exercises’ refer to the same exercise system and are interchangeable. “In China they now do Tai Chi, but my one ambition is to return there and bring their ancient Chinese exercises full circle.” `Victoria Advocate’, 1976. Johnson was convinced that there might be someone in a remote region still practising the art. Promotion of the art through social media websites has been the springboard for the discovery of many styles of wand exercises in China. 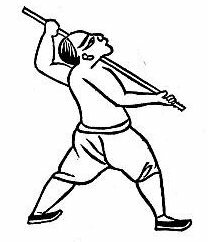 The Chinese Government recently presented historical evidence that wands were used to aid exercise and enhance Qigong in ancient times, as Bruce Johnson claimed. The association collected and studied many Qigong wand methods and created a new routine called the Taiji Yang Shen Zhang. Interestingly, the wands they use to demonstrate this routine are about four foot long, the length Johnson maintained was traditional and most beneficial. Further research has uncovered other interesting links to wand exercises in China and Japan, with some long-standing wand exercise, some of which share techniques similar to those Bruce Johnson taught.